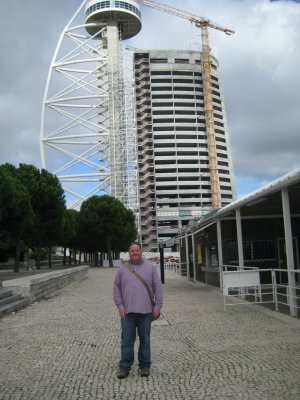 Unchained from my desk for a week, I decided to jet down to Portugal and Spain for a quick site-seeing jaunt. 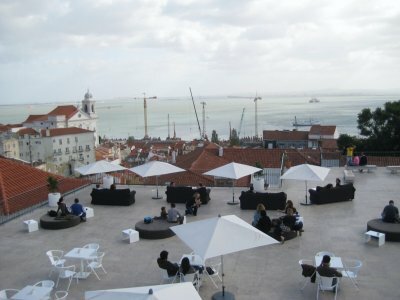 The first few days were spent in and around Lisbon. 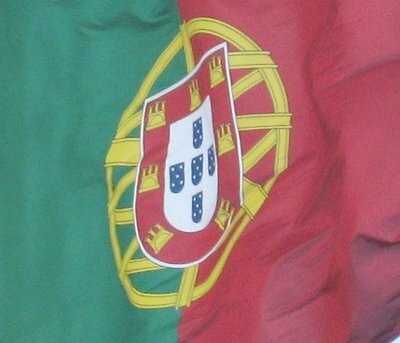 Lisbon is Portugal's capital and largest city. 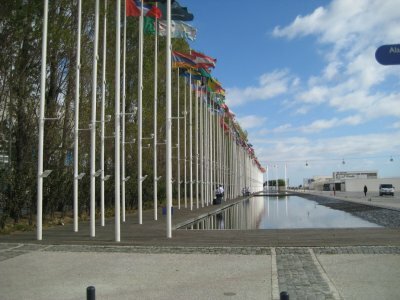 It is situated on the River Tagus near where it drains into the Atlantic Ocean, making it a vital port as well. 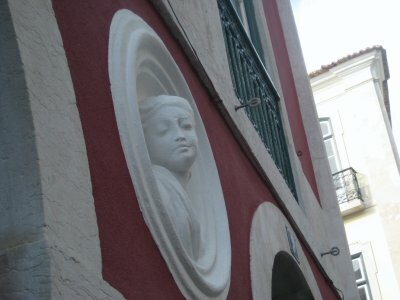 The centre of town is still filled with very historic buildings, and lots of bendy and narrow streets. It is also exceedingly hilly, so I spent most of my time marching up and down. 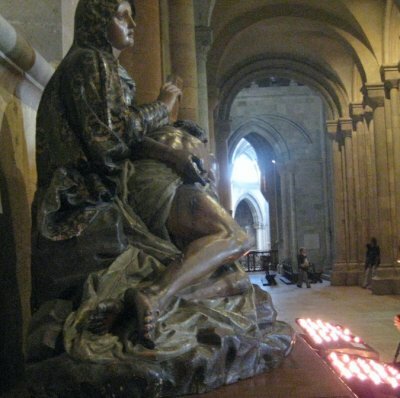 I realized that I need new shoes, as the tread on my shoes is almost warn off and on the smooth worn cobblestones, I found myself often losing grip and sliding. 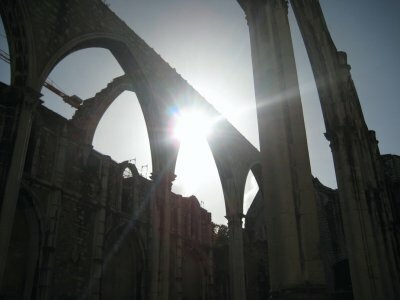 I started my day at Santa Apolonia, and walked from there. It's about time somebody recognised the good work that Apolinia did in Purple Rain, though I think sainting her might have been a bit much. Up the hill is the National Pantheon, which also has a small market outside. 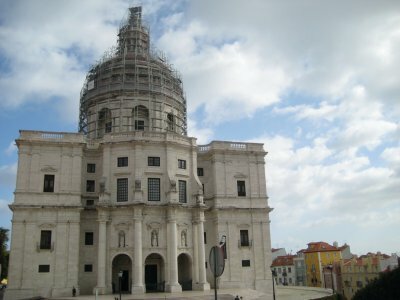 From there, I ventured further up hill to get to the Miradouro Sra do Monte, a church atop a tall hill in Lisbon. 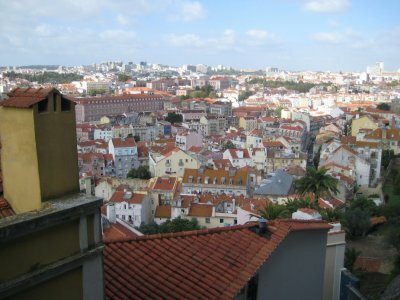 From there, there are nice views of the city. 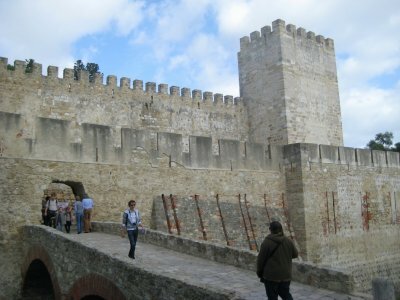 On a hill not far away is the Castelo de Sao Jorge (Castle of St. George). 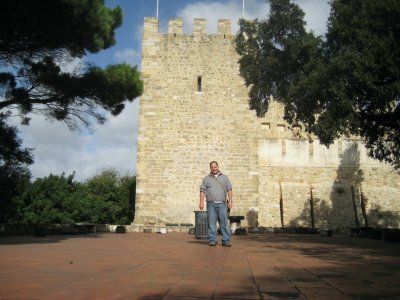 I hiked down and sweated my way back up to the top to see the Castle. 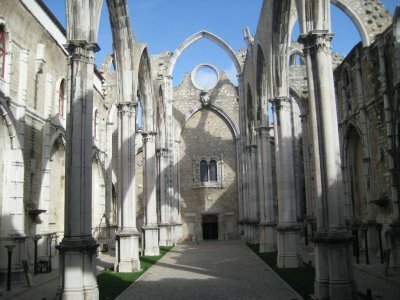 From there, it is a short (thankfully downhill) jaunt to the Cathedral of Lisbon. Along the way, I passed a number of interested houses and sites. 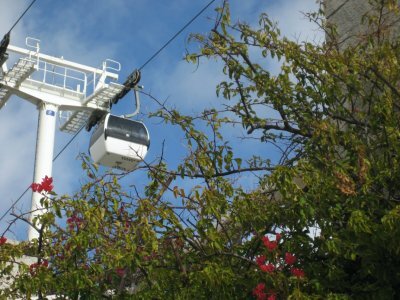 If you don't feel like walking, there are trams that can take you up and down the hills. 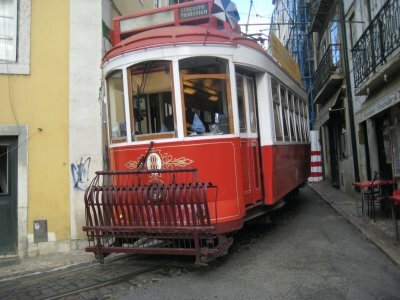 On the part through the tourist area, they run olden trams that are wooden and rickety. Other trams in the city are modern ones. At the bottom of the hill, near the river, was a modern art museum, which had giant statues of The Beatles that had them dressed up as their Sgt. Pepper alter egos on one side, and reflective on the other. 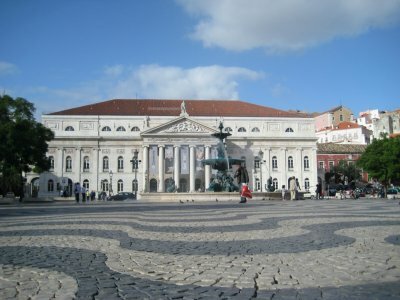 In the main part of the city is a number of squares, including Praca da Figueira. 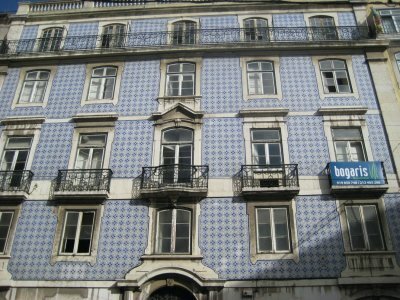 Nearby is the Rossio train station. 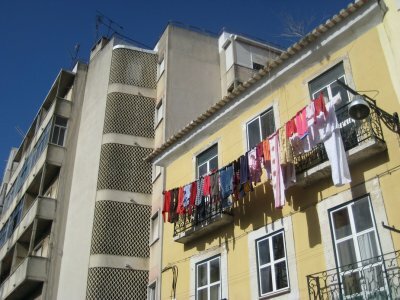 Modern and old at the same time. 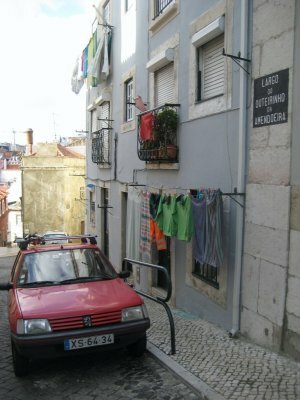 Another hill would take you up to Bairro Alto. 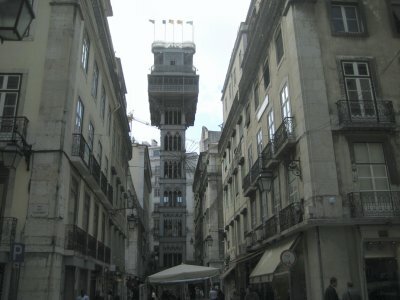 I climbed it, but if you want you can take the Santa Junta Elevator. It is basically a vertical subway with only two stops - down and up. 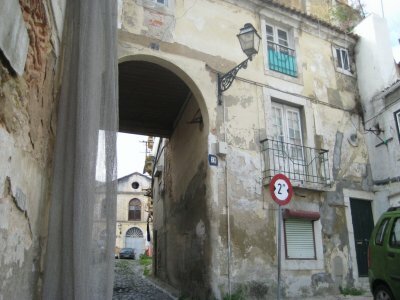 In Bairro Alto is the Ruinas do Carmo, where there is today an archaeological exhibit. The ruins themselves are a church that was being restored, but the money ran out so no roof was every put on, leaving it open to the elements. 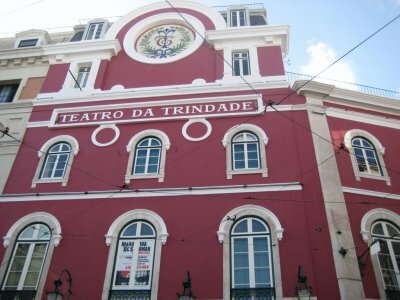 Not far away is this nice looking theatre - Teatro de Trinidade. 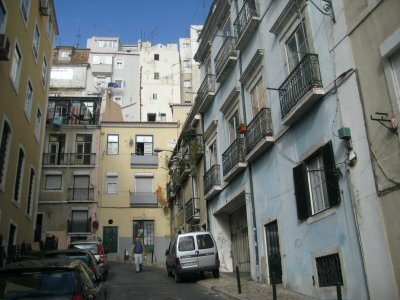 Back down the hill, and more walking - this time at least on mostly level ground, along the Ave. da Liberdade. Some nice tile work on the sidewalks here. 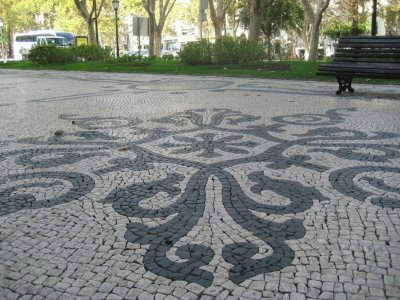 There's lots of nice tile work in Lisbon, probably due to the fact that it was controlled by the Arabs for a long stretch from 700 to around 1150 AD. Finally back to my hotel. I took a different tube line back to my hotel, and came out to find this graffiti. At first I thought it funny because it had Bender on it, but as I walked out of the basin that the tube station was in and up onto the street, it seemed more ominous. 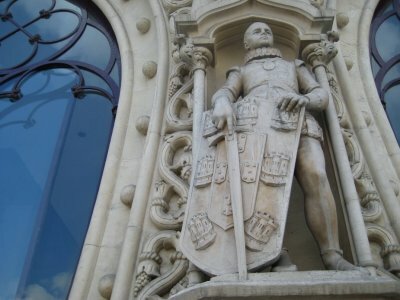 The court of the metro was dirty, with graffiti and imposing tower block. It felt very urban jungle and unsafe. I walked along a road was cut off due to a construction site, but the large concrete barriers blocking traffic just reminded me of checkpoints at army bases. I crossed a busy road that had an uneven dirt median under an imposing concrete overpass, and then passed an and overgrown empty field. On the whole, the scene made the place seem very dodgy. I ended up walking the wrong way. 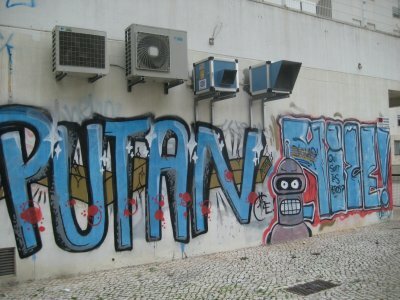 Even though I had a map, not all the streets were labelled on my map, and street signs in Lisbon are sometimes rare. Therefore I ended up walking around lost for a while. The sky had turned grey, and on the whole my mood darkened as well. 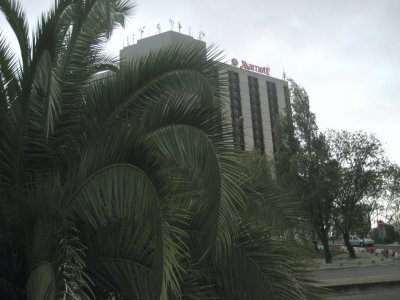 Luckily I was staying at a big, bright, shiny American hotel, so I was able to see their bright red sign from blocks away. 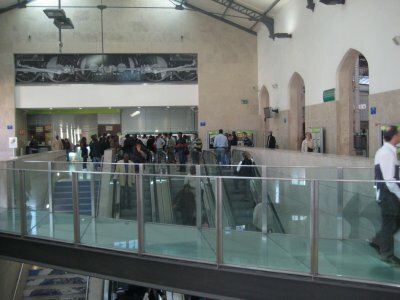 It's quite possible that the metro stop was fine, but after that I went to one of the other metro stops near the hotel instead of that one. 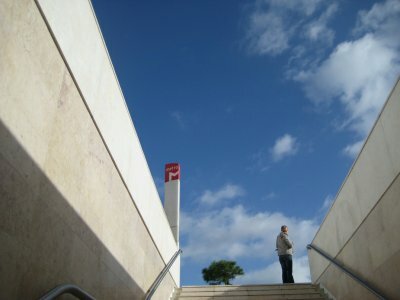 Another day I went out to the western tip of the city, near Gare do Oriente and the Vasco da Gama Mall. 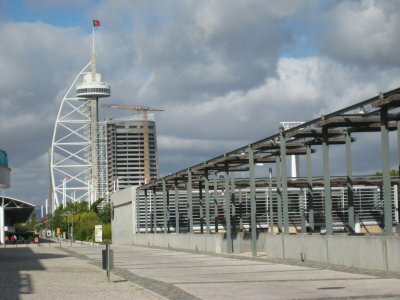 Back in 1998, Expo was held in Lisbon, and the area around the train station is where the pavilions were. 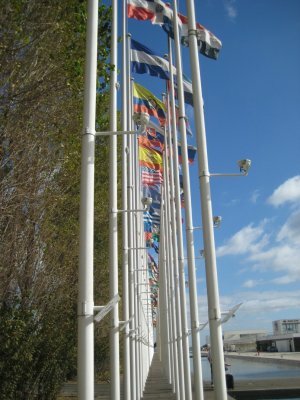 Today it is a shopping mall, arena, aquarium and river-side walkway. 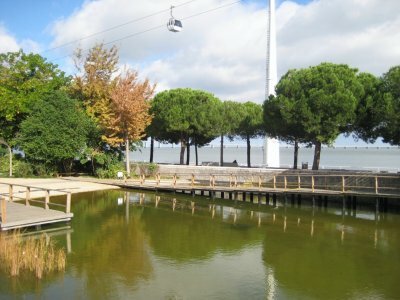 It also includes a cable car that runs along the river front. 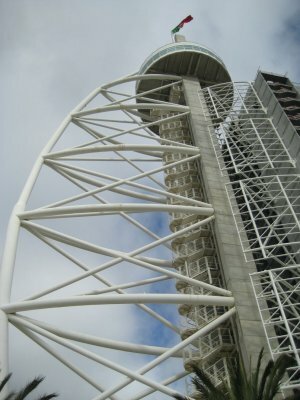 Nearby is the Vasco da Gama Tower, shaped like a sail in honour of the explorer. 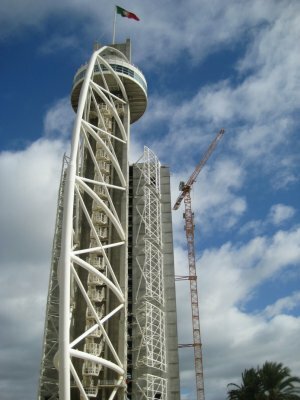 Normally you could go up and get views of the city, but the tower is currently closed as they add on a five-star hotel. Take that, Dubai! So instead I found a nice spot on a patio and had a beer. Sure, it was only 1:30 in the afternoon, but it is a holiday, after all. More to come from this trip. 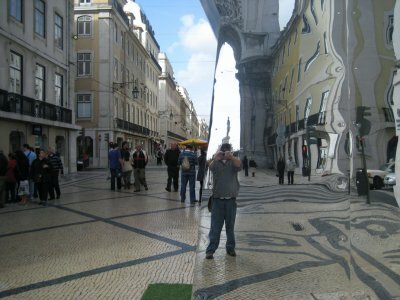 Sintra, Salamanca and Madrid are all coming up as I get pictures and text organised. Stay tuned! 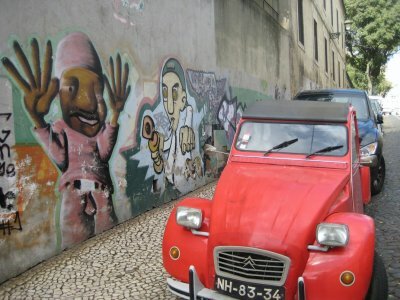 I love your pictures of Lisbon. 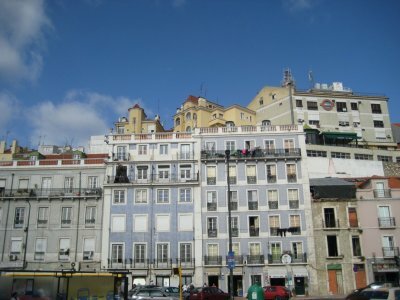 Although I've been to France and Italy, I've never been to Spain or Portugal. 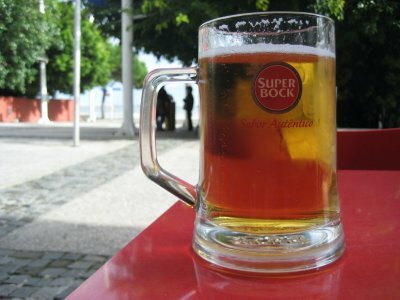 Now I feel like I've had a day in Lisbon. I really enjoy your blog, and check back often to check in on your life. Keep 'em coming.